Who you hire as your Washington or Oregon family law attorney will go a long way towards determining how your divorce, custody, or other family law case plays out. Here are a few of the top mistakes people make when hiring a lawyer so you can avoid making the same mistakes. 1. Looking only for “good” answers about one’s divorce, custody, or restraining order case. When people start interviewing their family law attorney they tend to look for the answers they want to hear about their divorce or custody case. Some people call around to different lawyers, only choosing one when they hear what they like. This is very dangerous, a good and experienced lawyer is one who will be willing and able to tell you both the good news and the bad. If an attorney is telling you both the good and bad about your case it will naturally mean hearing some things you may not like. As the client be willing to hear the bad news along with the good, and recognize an attorney that can identify both parts of the case. An attorney that can tell you both good and bad is understanding the case more fully, and therefore is better able to prepare for a successful trial. 2. Falling for empty promises from a prospective family law attorney. This goes along with the last point, but instead of focusing on the client’s mistake in looking for certain answers, this mistake falls under hiring a divorce attorney who is making promises they can’t deliver. When hiring a divorce lawyer, be wary of those that are trying to sell you. A lawyer only gets paid if you hire them, so there are some in the profession who will promise you the sun, the moon, and all the stars trying to get you to pay them. 3. Looking for a family lawyer who is overly aggressive. When you are angry with your ex, it is easy to fall into the trap of wanting to go for blood. Some people go looking for the shark they hear about on TV shows who will win at all costs. Remember, when dealing with a divorce or custody case, particularly if you have children together, going for the jugular so to speak can be extremely harmful. A good SW Washington or Portland divorce lawyer is one who can balance the aggressive approach that is sometimes needed, with a more objectively helpful approach to try and reach a peaceful settlement. 4. Hiring the first family law attorney called. Many people do a quick internet search, pick up the phone, schedule an appointment and get started with the first lawyer who calls them back. It is always a good idea to call around and do some shopping to be sure you find the right fit both financially and personally. For the relationship to work it is really important you trust the attorney’s advice about your family law matter and feel you can communicate well with them. 5. Ignoring personality flaws in an attorney. In family law cases, it is very important that you get along well with your lawyer. Many people ignore their divorce lawyer’s glaring rudeness or other personality flaws just assuming “that’s the way lawyers are”. First of all although some attorneys do have a difficult personality, but this is not true of all of them. Second, personality plays an important part in a divorce or custody case. The reality is, because family law cases are so emotionally difficult and personal, you want to hire someone with a good personality who you can trust to help when emotions run high by managing negotiations and finding respectful ways to work with both you and the other party even when emotions flare. Hopefully this was a helpful look at what mistakes are often made when looking for a Portland family law attorney so you can successfully avoid making these mistakes. You may also find our guide to divorce helpful. 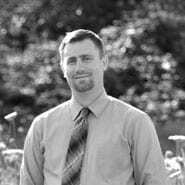 Tom Brasier is a Portland family law attorney for Brasier Law. We have offices in Portland and Clackamas. Brasier Law serves Oregon and Washington and specializes in divorce, custody, restraining orders and other family law matters. Feel free to call at 1 (503) 855-4777 or toll free 1 (855) 328-9108.